Hey guys! Sorry I haven’t done ‘A Week in Tech’ in a couple weeks – have been busy settling into school and such. But, I’m back and ready to talk about all the news in the world of tech this past week! 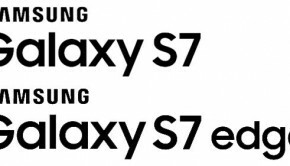 – Just weeks after the release of the Note 5 and S6 Edge+ and months before Samsung’s next flagship device will hit the U.S., we are already seeing rumors about the Galaxy S7. This past week a test version of the S7 seems to have appeared in an Antutu benchmark under the codename “Lucky”. While it is expected that this device will come in two sizes, the Antutu benchmark clocks its screen size in at 5.7 inches. In addition to that huge 2K (possibly 4K) display, the S7 is expected to use the unannounced Qualcomm Snapdragon 820 processor, have 4GB RAM and include 16MP rear & 5MP front cameras. This device is still really far away from release, but I am already excited for it! – As many of you probably know, Apple had an event this past Wednesday where they released the iPhone 6S, 6S Plus, Apple TV, a very large iPad Pro, and the Apple Pencil & Smart Keyboard to go with the new iPad. The source link has all the details for these devices summed up nicely, but the 6S and 6S Plus look basically the same as the 6 and 6 Plus expect they went with a strengthened glass and thicker aluminum shell (*cough* Bendgate *cough*). In addition, the 6S and 6S Plus come with ‘3D Touch’ (aka Force Touch), a faster 64-bit Apple A9 chip, improved cameras and faster Touch ID. The iPad Pro, which is really expensive, is a huge 12.9-inch tablet with a resolution of 2732 x 2048, a 64-bit A9X processor, an 8 MP camera, Touch ID, and an interesting four-speaker audio system. – With the release of Apple’s new iPhone they also announced a new Upgrade Program which, according to The Verge, is the best way to get this new model. This program allows you get a new iPhone every year, the phone will be unlocked and thus work on any of the four major carriers, it will only cost a “low monthly payment” and it will come with AppleCare+ (Apple’s warranty program that usually costs an additional fee). You can see the full breakdown of costs in the source below, but a 64GB version of the 6S will cost about $37/month while a 64GB 6S Plus will cost about $41/month. 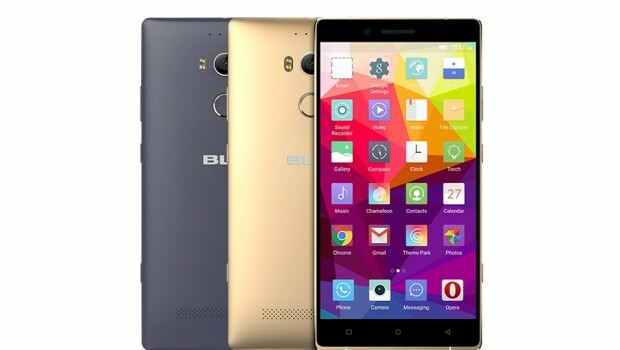 – Blu has officially announced their new flagship device dubbed the Blu Pure XL. This phone will cost just $350 unlocked and has some amazing specs given that price point. 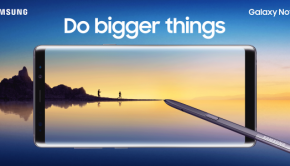 The Pure XL comes with a huge 6-inch 2560 x 1440 Super AMOLED display, a 3,500mAh battery, an octa-core MediaTek Helio X10 processor clocking in at 2GHz, 3GB RAM, 64GB ROM with a microSD card slot, a fingerprint scanner on the back, a 24MP rear camera and a 8MP front-facing camera. This beast of a device will be available exclusively from Amazon starting on September 29th. Check out the full specs here and check out Tim’s unboxing video as well! If I had the money and if this worked on Verizon I would be buying this as soon as it comes out! – Blu also announced an upgraded version of the slimmest phone in the U.S., the Vivo Air. This 5.1mm thick upgrade, called the Blu Vivo Air LTE, is somewhat of an incremental upgrade, but a much needed one. As the name implies, this version now has 4G LTE instead of just HSPA+. Additionally, they added another gig of RAM bringing it up to a respectable 2GB, switched the processor from a octa-core MEdiatek to a quad-core Snapdragon 410, it runs Android 5.0.2 Lollipop, and they changed the layout of the buttons/ports a little as well. This device has an amazing design and some pretty decent specs and will come in at the same price as the original at just $200 unlocked. It comes out on September 22nd and can be preordered on Amazon now. 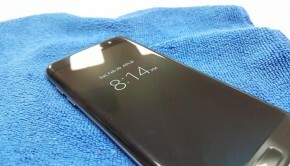 I know Tim has this phone already so expect a review from him! – With Microsoft’s release of Windows 10 back in July, it was expected that they would be releasing a new version of Microsoft Office at the same time. While it wasn’t released back in July, Microsoft just announced that Office 2016 will be available starting on September 22th. Office 2016 will come with some needed new features such as the ability to co-edit documents at the same time (much like Google Drive) and the ability to sync files to OneDrive in the cloud. I don’t believe a price as been announced, but I think this will be a worthy update from Office 2013. – Microsoft just announced today that they will be hosting a press event on October 6th starting at 10am EST. It is expected that Microsoft will talk about Windows 10 for their phones and may release the rumored Lumia 950 and 950 XL flagships. Additionally, it is expected that Microsoft will announced the Surface 4/Surface 4 Pro to refresh their line of tablets. – This past Thursday Google finally announced in this official blog post that Android Pay will begin rolling out. Android Pay will work on any NFC-enabled Android phone running KitKat or higher, on any mobile carrier in the U.S. (even Verizon! ), and will work with credit and debit cards from American Express, Discover, Mastercard and Visa. A neat feature I like about Android Pay is that it doesn’t send your actual credit or debit card number when making a transaction, but rather creates a virtual account number to keep your number secure. In addition, Android Pay will be enabled through mobile checkout later this year allowing you to use the service on all of your favorite apps. While the Android Pay app isn’t yet on the Play Store, Google released a new Google Wallet app solely for transferring money and checking your transactions. – Verizon is obviously continuing to push its 4G LTE network, but is now working on bringing 5G connectivity to the states. While 5G likely won’t reach us until 2020, Verizon is currently working with big names like Samsung and Qualcomm and is doing some trial 5G network environments in San Francisco and Massachusetts. This will definitely be a big step in mobile internet as 5G is said to be 50 times faster than 4G LTE and even faster than Google Fiber. That’s actually insane and hard to believe as Fiber is like 1Gbps – only time will tell! – Qualcomm introduced a new processor this past week called the Qualcomm Snapdragon Flight as this time it’s not for mobile devices, but rather for drones. This SoC is based on the Snapdragon 801 and includes a quad-core 2.26 GHz processor, a digital signal processor, Wi-Fi, Bluetooth, GPS and a 4K video processor. This chip will make its debut in a Chinese drone in 2016 and could possibly change the drone market as we know it. – Even though Google just recently announced the 3rd generation of their Nest Thermostat, the 2nd gen model is currently on sale for just $200! Apparently this model hasn’t been this cheap since Black Friday of last year, so head on over to Amazon and pick it up now! – While this device isn’t out yet, I thought I’d talk about it as it seems pretty interesting. Amazon hasn’t had great success selling its own high-end electronics (Amazon actually just stopped selling the Fire Phone on their website), but maybe it will continue to have success in the low end. It is rumored that Amazon may be bringing a 6-inch tablet to the market that will cost just $50. While that is an amazing price point to achieve it will no doubt test the limits of cost savings and be very minimal in terms of specs. – This past week Pebble released a firmware update for their second generation smartwatch, the Pebble Time. This update brings it to firmware version 3.4 which includes: support for additional languages, ‘Quiet Time’ which silences all notifications and vibrations, and ‘Stand-By’ Mode which is a new power-saving mode that turns off Bluetooth after 30 minutes of being motionless. Check out the full changelog on Pebble’s website. – Motorola Connect, the companion app for the Moto 360, got an update this past week as well. With it comes support for the new Moto 360 2015, a redesigned UI for the app, and the addition of some watch faces that take advantage of the interactive watch face API. Get the update here! – Owners of the original Moto X on Verizon finally got an update to Android 5.1 Lollipop today. This update brings with it the ‘Stagefright’ fix, UI improvements and more. Check out the full changelog over on AndroidPolice! Let me know what you think about the news in the comment section below! 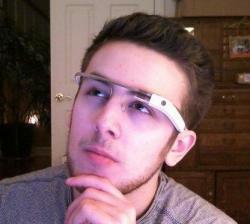 Jason Ephraim Current student at Binghamton University who loves Android and everything tech!